LAKEWOOD, N.J. JUNE 25, 2018 – Large, urban school districts in the U.S. often encounter challenges, such as high mobility rates and socioeconomic conditions, in preparing students for life after graduation. Despite obstacles, students and teachers at Chicago Public Schools (CPS), the third largest school district in the U.S., are determined to become college and career ready with the help of Achieve3000, the leader in differentiated instruction. Together, CPS and Achieve3000 are removing barriers in order to ensure all students graduate with skills for success. 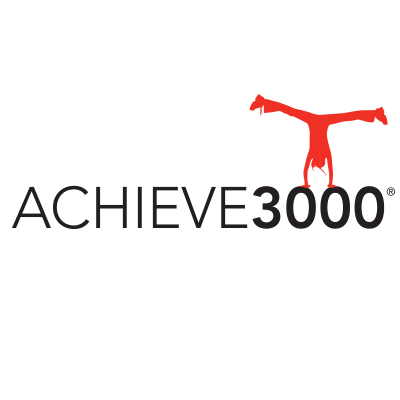 Ninety-two schools serving more than 23,000 students are currently using Achieve3000 to increase students’ ability to read and understand complex text, improve PARCC and IL-SAT performance, and prepare them for college and the workforce. Data from the 2017-18 school year demonstrates that CPS students using Achieve3000 are experiencing accelerated growth. In August 2017, fewer than one percent of students using the program were “meeting or exceeding” and 6.1 percent were “approaching” college and career readiness. Nine months later—in April 2018—18 percent of students using the program are “meeting or exceeding” and 32.7 percent are “approaching” college and career readiness. At Richard Edwards Elementary more than 90 percent of the school’s 1,546 students come from low-income backgrounds and 49 percent of students are English Language Learners. At the close of the 2017-18 school year, 225 of the school’s students using Achieve3000 are considered College and Career Ready (CCR) based on Lexile growth, with an average Lexile gain of 185 Lexile points. To supplement the regular school year, Achieve Intensive, was implemented in 2017 as part of CPS’ Summer Bridge program for students who are especially at risk for summer reading loss. The 3,590 students in grades three, six, and eight who participated in the five-week program experienced Lexile growth equivalent to one-fifth of a school year for students in grade three and one-half of a school year for students in grades six and eight. Approximately 4,300 CPS students are registered for Achieve Intensive this summer. Achieve3000 is the leading literacy platform in today’s blended learning programs, serving nearly 3 million students worldwide. The Achieve3000 platform provides differentiated content at 12 levels in English and 8 in Spanish with built-in supports tailored to each student so every child can participate in grade-level instruction using the same lesson, regardless of their current reading ability. Based on decades of scientific research, Achieve3000’s patented instruction for grades PreK-12 and adult education reaches all students at their individual reading levels to accelerate learning, improve performance on high-stakes assessments, and advance college and career readiness.